If you’ve never had oxtail before, I highly recommend it. This is something that you should be having, at least on occasion. It’s not one of those foods that you need to have on a regular basis. However, it should be something that you have when you want to treat yourself to something a little different. Many of you probably have never had oxtail before, let alone any oxtail recipe. If you’re reading this then you’re probably looking to expand your horizons when it comes to food. This is always a good thing. The more diverse your taste buds can be, the better your life will be when it comes to the foods you choose to eat. You are going to be less fearful of trying new things. Trying oxtail can be that first step into a brand new life of trying different foods. What exactly is oxtail? If you’ve never had it, you may not even know what it is. Oxtail is from the tail of cattle. It’s the tail but is cut into smaller lengths so that it can be sold. You aren’t going to go around the store seeing actual tails for sale. That’s just not going to happen. For starters, that’s probably going to be very off-putting and nobody is ever going to want to eat any oxtail. Oxtail is popular in a number of different cultures, including those in South America, West Africa, China, and Spain. There are some oxtail recipes that are going to be simply delicious. 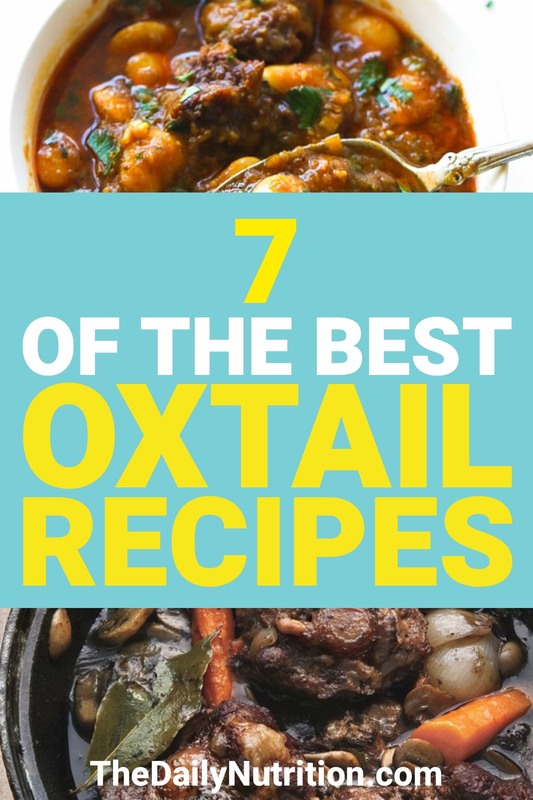 After trying the recipes below, you’re going to have a hard time finding a recipe that you can say is the best oxtail recipe. You’re going to be exposed to so many different flavors that your taste buds aren’t going to be able to decide what’s best for them. Something that you will be certain of is that your stomach will be full and you’ll be more than satisfied. Growing up in the south, I know good southern food when I see it. This oxtail recipe falls into the category of absolutely delicious. You cannot beat a good southern meal. A recipe like this is perfect comfort food. It’s never going to be considered “healthy” but it’s definitely going to make your soul happy. This is exactly why a lot of southern food is referred to as soul food. If this is going to be your first time cooking and eating oxtail, this isn’t a bad recipe, to begin with. You’re going to have a lot of flavors so if you happen to not like the oxtail too much, it can be masked in the gravy that you make. However, the oxtail will stand out enough for you to really enjoy it if you want to. 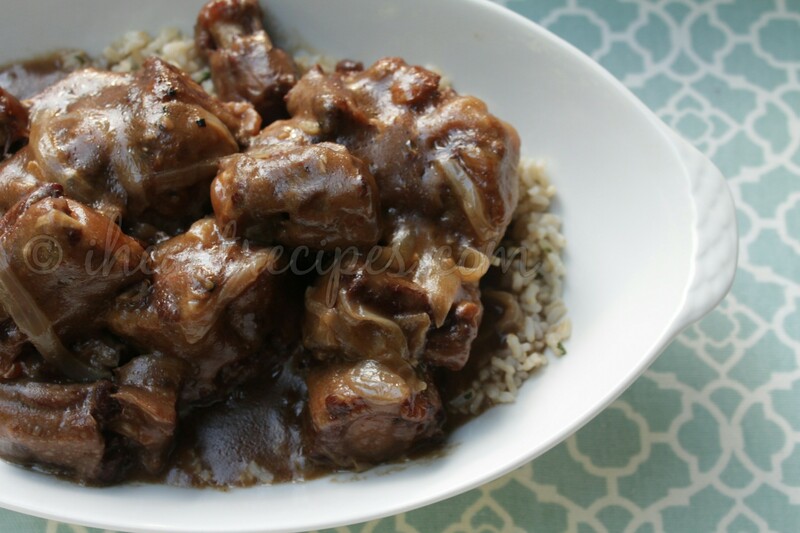 This oxtail recipe uses a slow cooker as well so you know you’re getting a nice tender bite of beef every single time. If you’re in the mood for some Caribbean flavors in your mouth, look no further. 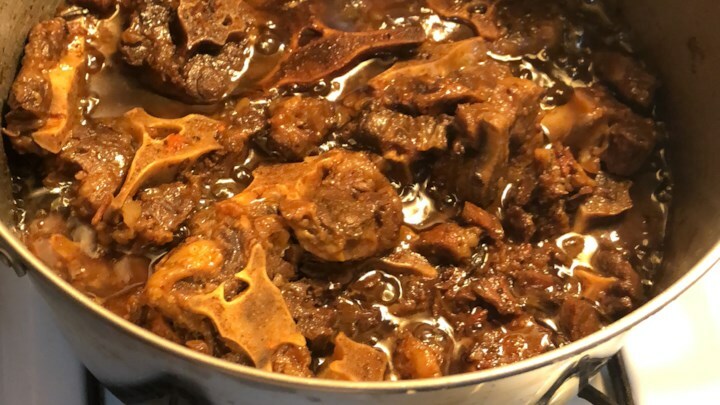 This is a Jamaican oxtail recipe that you need to try. You’re going to fall in love more and more with every single bite. If you aren’t careful, you’re going to find yourself making this recipe over and over again. Although it’s not going to do your stomach any favors, it’ll at least be happy and satisfied. 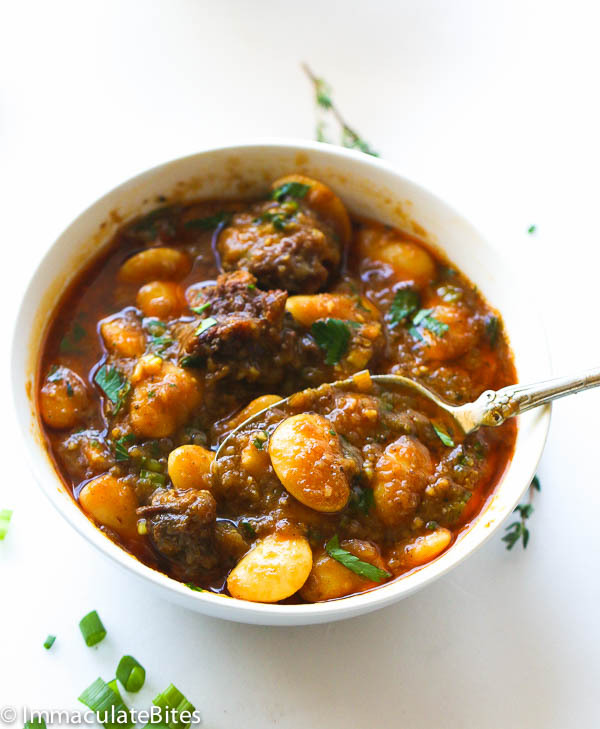 This combination of oxtail and butter beans is going to hit the spot immediately. Your taste buds will fall in love right away and beg you for more. It will be hard to truly love and cherish the flavor because you’ll be eating this so fast. The worst part is that you won’t be able to control it either. I know that cooking oxtail may seem a bit intimidating. It’s something you may have never cooked before. However, when you cook oxtail the right way, you will not be disappointed with the taste. 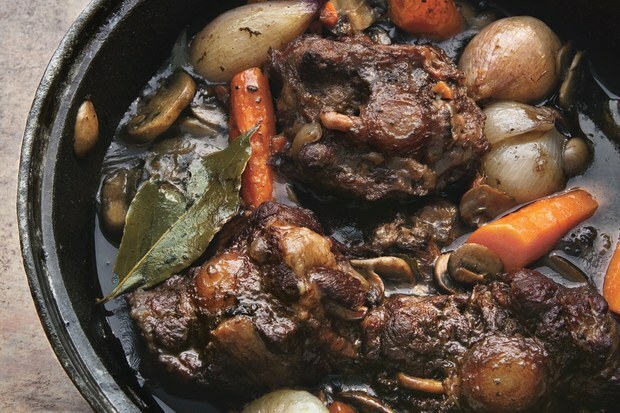 You’re going to simmer the oxtail in wine with carrots and celeriac. You could definitely use other vegetables if you want, but with a recipe like this, carrots definitely seem to work better. If you are a patient person, you can make this recipe days in advance as it’s supposed to get a little better the longer it sits. However, you don’t want to wait too long or else you’re just going to spoil a delicious oxtail recipe. Don’t be intimidated by the name of this recipe. It’s not nearly as fancy as it sounds. Sometimes French words can put a little bit of fear in our American eyes. That’s mostly because we don’t know what it means. Bourguinonne simply refers to any dish that’s cooked in the style of Burgundy, France. If you really want something to compare this recipe too, it can be compared to a French beef stew. Something that’s braised with red wine and mushrooms. As with most stews, potatoes go with this perfectly. Feel free to mix them in or have them as a side dish. 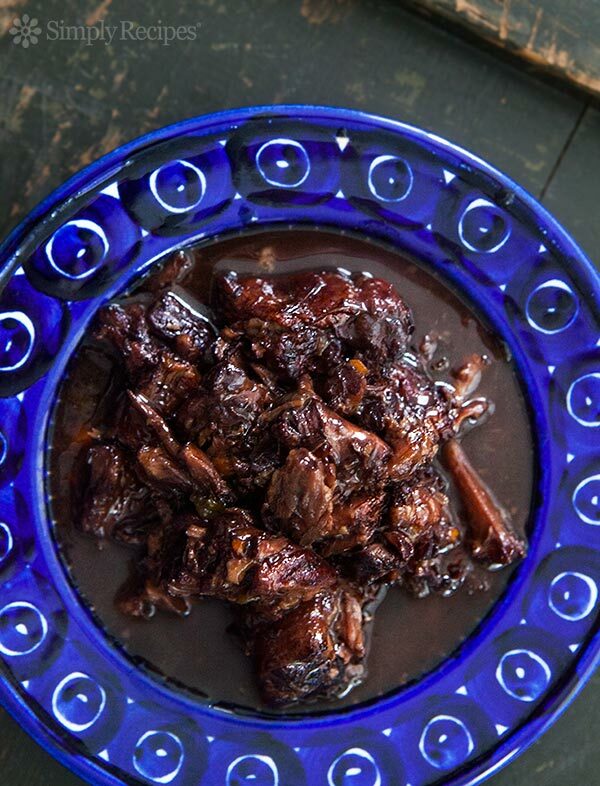 This is an oxtail recipe that you’re going to want to share with your friends. When I think of something being glazed, my mind automatically goes to doughnuts. Yes, I’m a fatty at heart. This oxtail recipe couldn’t be further from a doughnut. The taste couldn’t be further from a doughnut. You’re not going to think of any kind of dessert when you have this recipe. You’re going to think of a nice, warm, comforting dinner that you have never had before in your life. This is how an oxtail recipe should really make you feel and I believe that this is what happens when you make this recipe. Now, this recipe is going to seem extremely similar to the Jamaican Oxtail Stew that was listed a bit earlier. However, there are some differences that separate the two recipes. This recipe will incorporate a little more ingredients and that flavors are going to blend a little differently. It’s going to have its own unique taste that you will love. Because this is made in a slow cooker, you’re going to make sure that your meat is nice and tender. It will fall off the bone when you’re done making it. Yes, slow cookers usually mean longer cook times, but the wait is almost always worth it. This is one of those recipes where the wait is most definitely worth it in the end. When it comes to oxtail recipes, this is one that can definitely be considered an easy oxtail recipe. You don’t need to have many skills in the kitchen to really get the ball rolling with this oxtail recipe. The best part is that it’s relatively straightforward. This is probably why it can be considered an easy oxtail recipe. Sometimes to make something delicious, you don’t need to do anything fancy. The best solution to a good recipe is usually simplicity. Yes, there are times where finesse is required to make something amazing, but not with this recipe. You can use your basic skills to make something that’s truly outstanding. Having oxtail can be an experience that you’re definitely going to love. If you’re a person that doesn’t like dealing with bones when they’re eating, the recipes above should allow all the meat to just fall off the bone. Be prepared to take your taste buds for a ride they won’t soon forget. Before you know it, you’ll be a master of oxtail recipes. Pretty soon you’ll be coming up with your own recipes for oxtail to bring out its delicious flavors in ways that have yet to be tapped into. 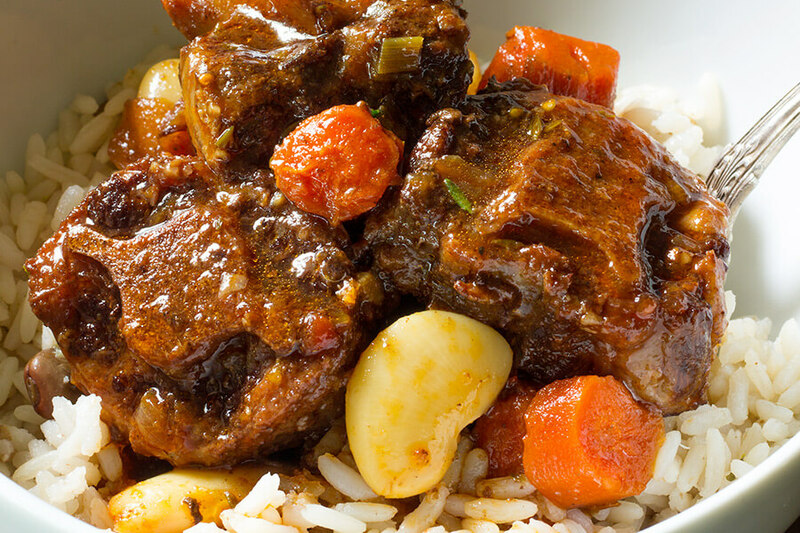 Enjoyed 7 Oxtail Recipes You’ve Never Had But Need to Try? Share it with your friends so they to can follow The Daily Nutrition journey.